When the owners of Rockford Brewing Co contacted us for branding help in 2015, it seemed like fate. We had been considering contacting them for some time. We loved their building, their products, their enthusiasm and what they were doing for downtown Rockford. But, we didn’t think the quality of their brand identity and advertising lived up to the reality of what Rockford Brewing Co was in the eyes of its fans. The owners said they were concerned their brand(s) were disjointed and in danger of spinning out of control. 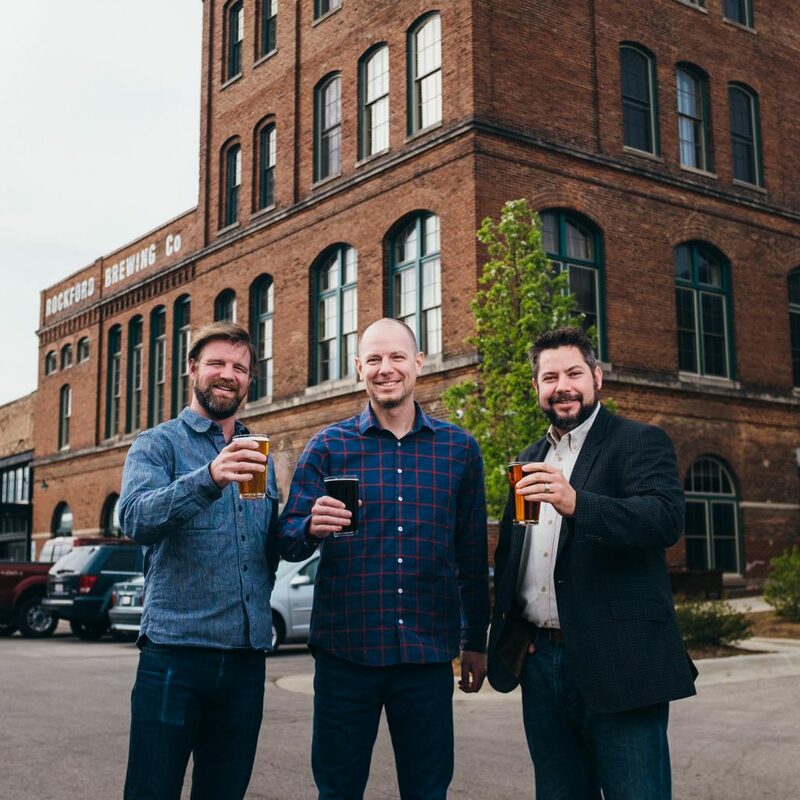 They called the brewing side of the business Rockford Brewing Co and the building itself Prairie Street Brewhouse (the building is large and mixed use and includes residential, commercial and boat storage spaces in addition to brewing and restaurant features). They also had been approached by another company doing business as “Rockford Brewing Co” (in Michigan) and were faced with a potential fight for control of the name. They recognized the fact they needed third-party, experienced eyes to help them assess the best path forward. A decision was made to engage GrahamSpencer to conduct its proprietary qualitative/quantitative research and strategic planning process, GSearch, to audit where the brands stood now, study their historic origins and consider their place in the increasingly competitive environment in which they operate. During GSearch, we and the owners learned a lot about the reality of the business as well as stakeholder perceptions. We studied the history of the building and the fact its brewing roots went back to the mid-19th century. We tested a number of different name and identity solutions. 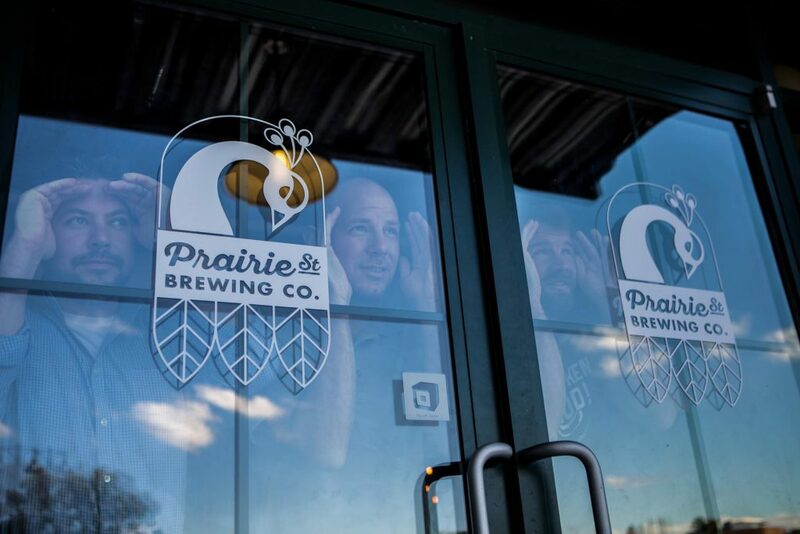 We closely audited the existing Prairie Street Brewing Co brand and competitive ones. 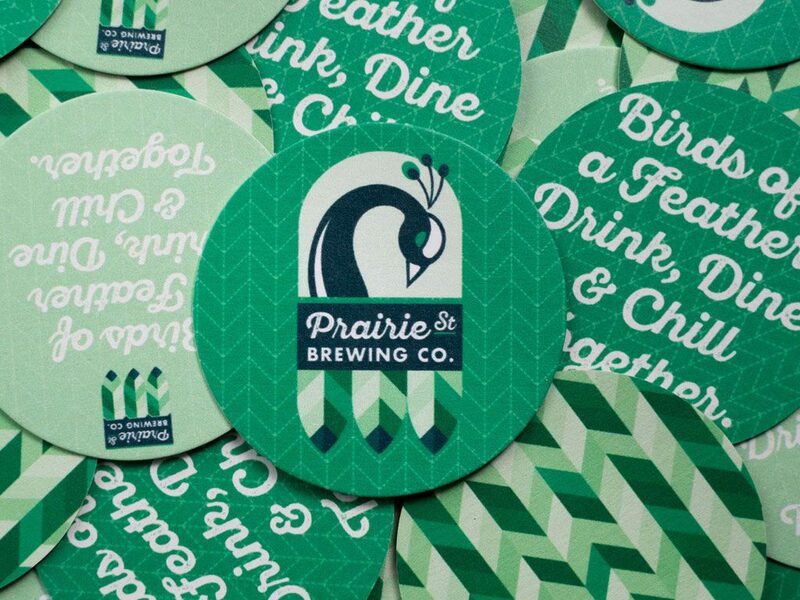 The new Prairie Street Brewing Co brand identity resonated strongly with validation research respondents and customers, alike. 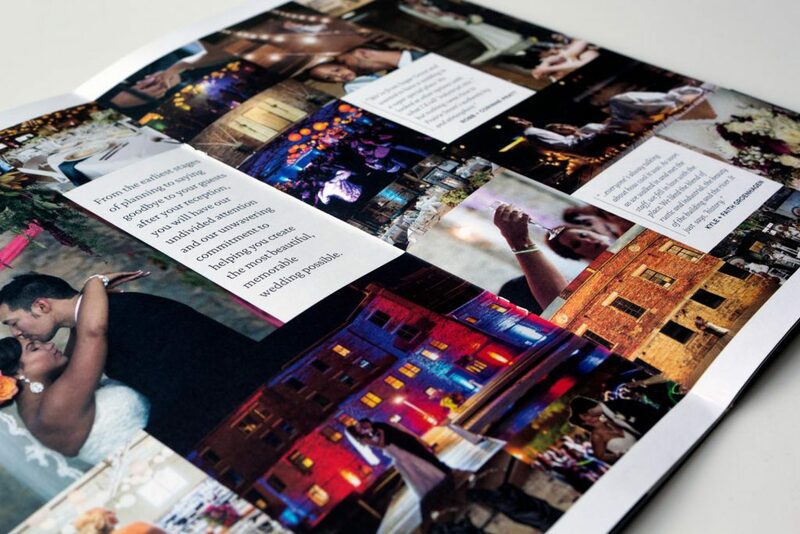 They liked the fact it is rooted in the authentic history of the business, the building and the community. We tested many other options, but beer drinkers preferred the authentic connection to the building’s history. Prairie Street Brewing Co occupies a building built by Rockford’s very first craft brewer: Jonathan Peacock, an Englishman who immigrated to the United States in the mid-1800s. The logo features an arched-neck peacock and obliquely references its current owners, Chris Manuel, Reed Sjostrom and Dustin Koch, with it’s three-feather motif. 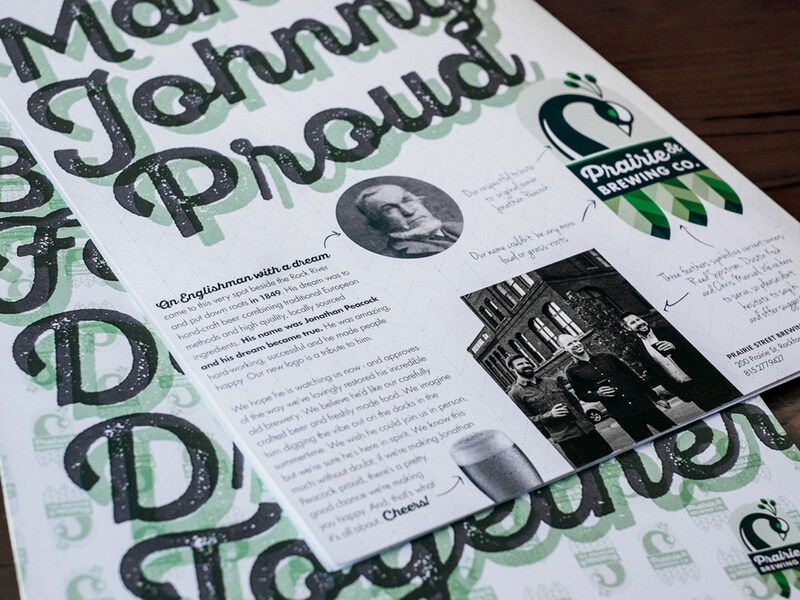 A full identity system was created with primary, secondary and tertiary elements for use in a variety of applications from big to small, from one-color to full-color process printing. 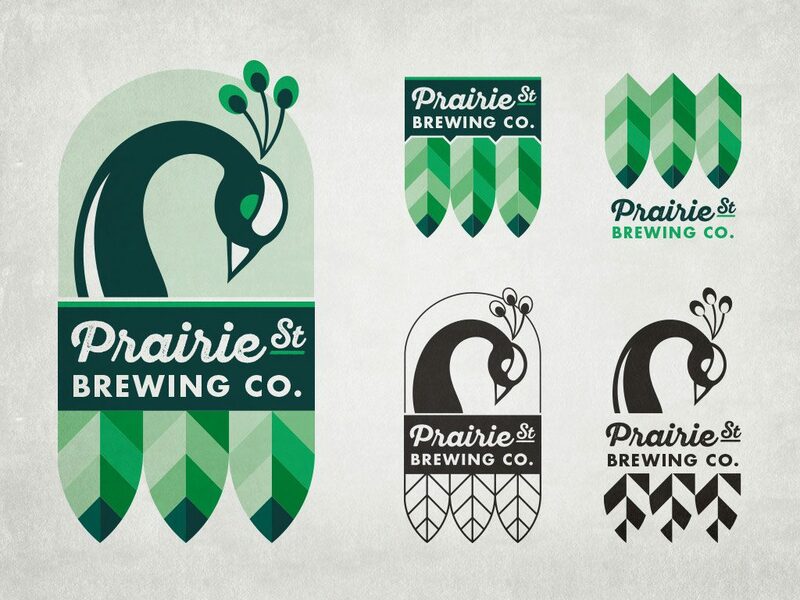 After many months of research, strategic planning and design, we eventually launched a new, fully unified Prairie Street Brewing Co brand identity in 2016. Concurrently, we helped the owners leverage an opportunity presented to them by the Rockford Park District to manage food service in the new 105,000 sq ft downtown indoor Sports Factory. 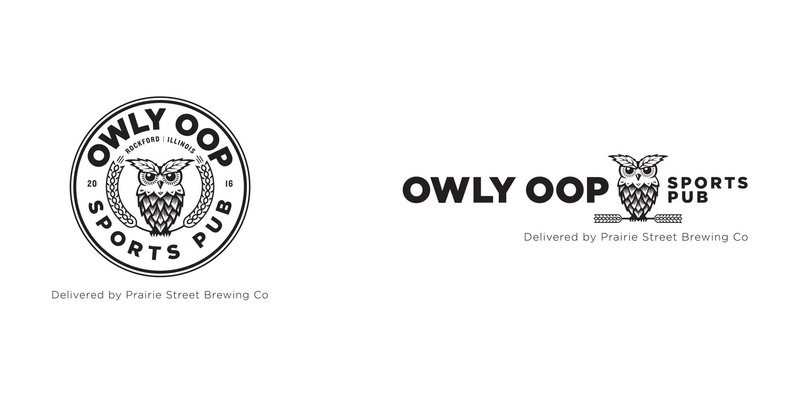 We named and created the brand identity for Owly Oop Sports Pub. Upon launch, the new identity also resonated with consumers as two consecutive years of record-breaking beer production and sales ensued. 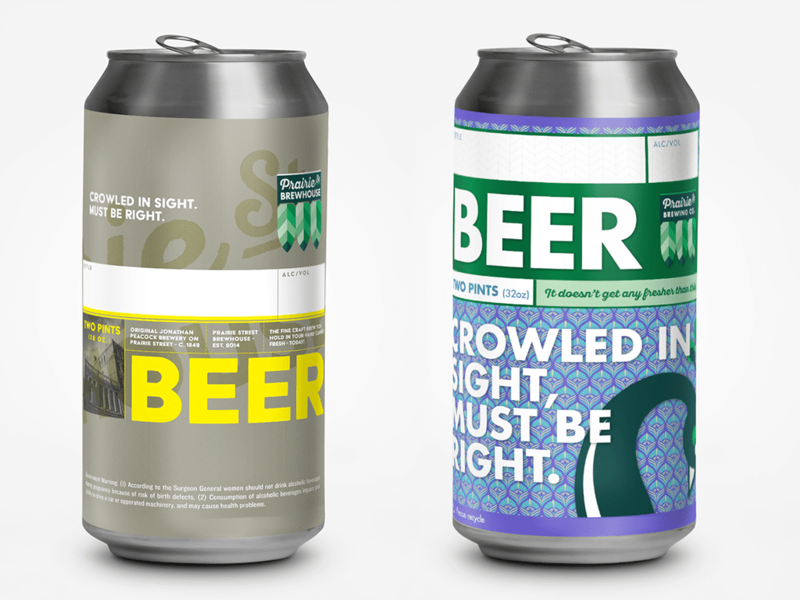 The new identity was methodically applied to many different touch points, from a new logo to coasters to crowler and growler packaging designs to tents to wearable merchandise to a new sub-brand for Dockside Taproom, a subsidiary bar that serves Prairie Street’s beer and food in the basement of its building at river level. 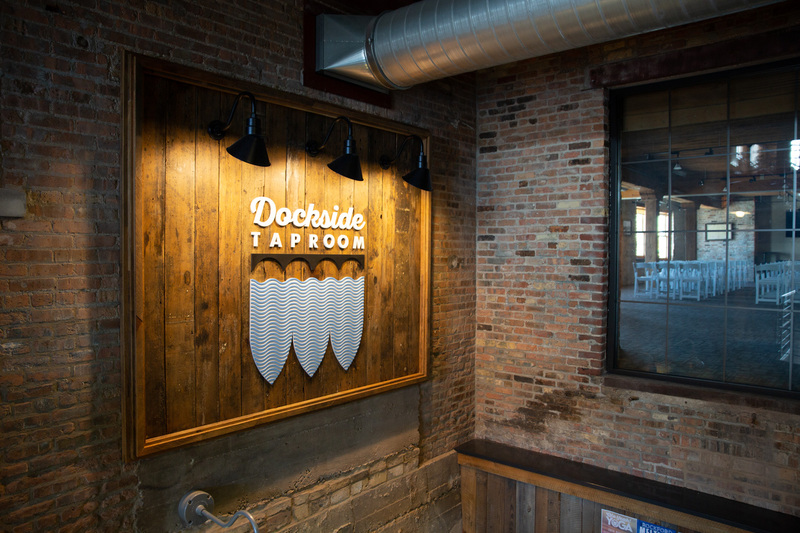 The Dockside logo takes design cues from the Prairie Street mark, the barrel ceiling in the bar itself, the river that flows just outside its doors and the nearby Jefferson Street bridge and its familiar arches. 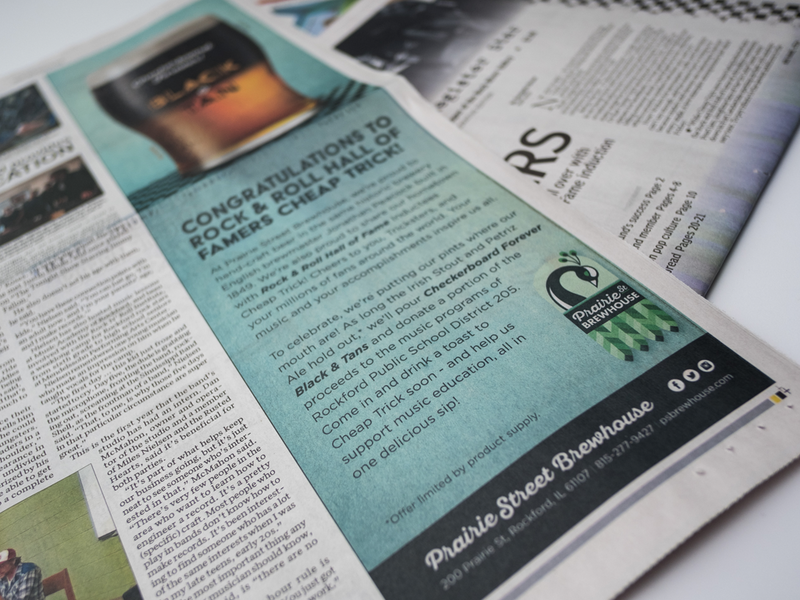 The brand identity design itself and other aspects of our work for Prairie Street Brewing Co won Best of Show and several other Gold Medals at the American Advertising Federation District 6 ADDY awards in 2017 and 2018. 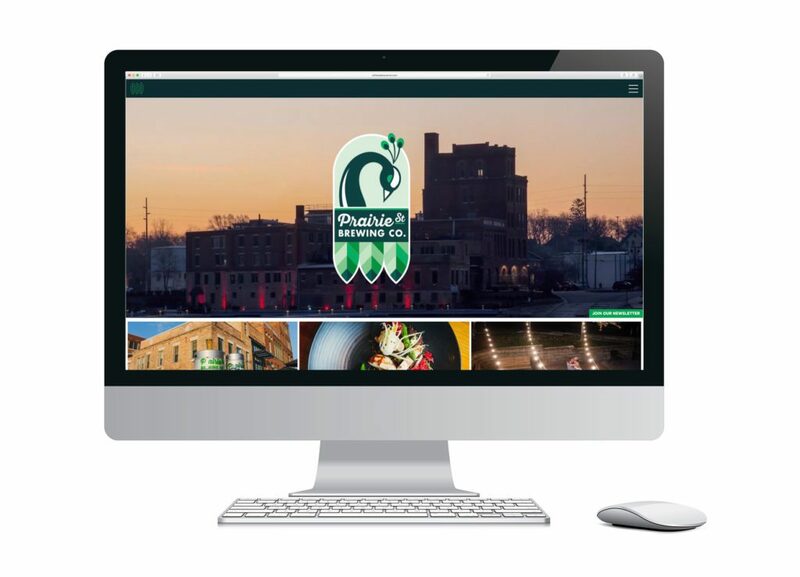 The Prairie Street Brewing Co responsive website was a Gold Medal winner in 2019. The website was made in a mobile-first fashion, but performs extremely well in desktop and tablet environments. 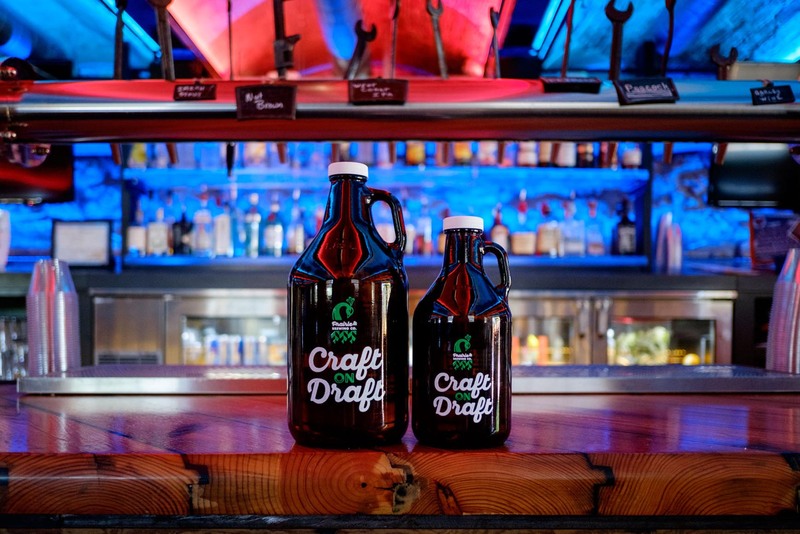 It is fun to cruise and full of helpful information for every imaginable Prairie Street Brewing Co stakeholder, from beer lovers to foodies to commercial space tenants as well as those shopping for townhomes and condos and boat slip space in the building’s multi-use environment. 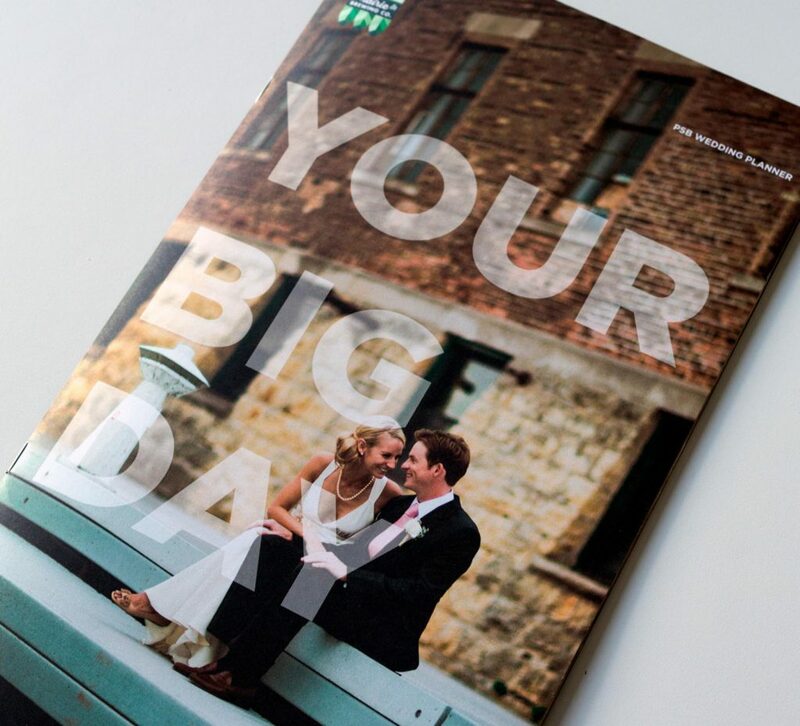 Another important tool created for Prairie Street Brewing Co was its Weddings & Events Brochure, an elaborate, beautiful, tactile and oversized printed piece that never fails to impress prospective brides, grooms and weddings and events planners considering where to host their big day. 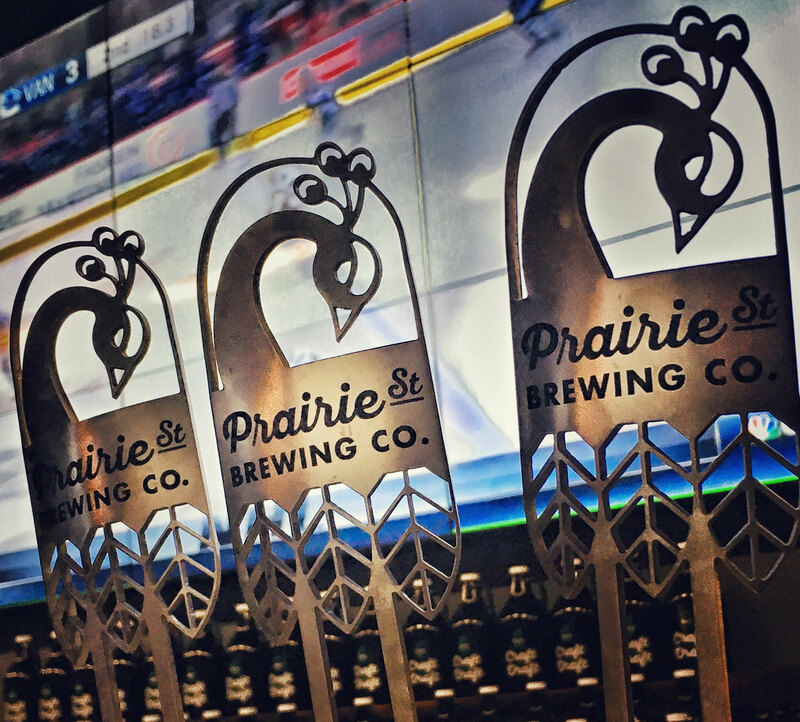 In 2018, Prairie Street Brewing Co had an opportunity to partner with the Rockford IceHogs, Rockford’s AHL hockey team and direct affiliate of the Chicago Blackhawks to help celebrate the Teams’ 20th Anniversary. Prairie Street brewed a delicious, hard-hitting 7.5% Double IPA we dubbed “High Hard One” after a rising slap shot. The brew featured tangy citra hops entangled in a net of piney, caramel flavors that gave it a level of complexity not often seen in such a heavyweight beer. 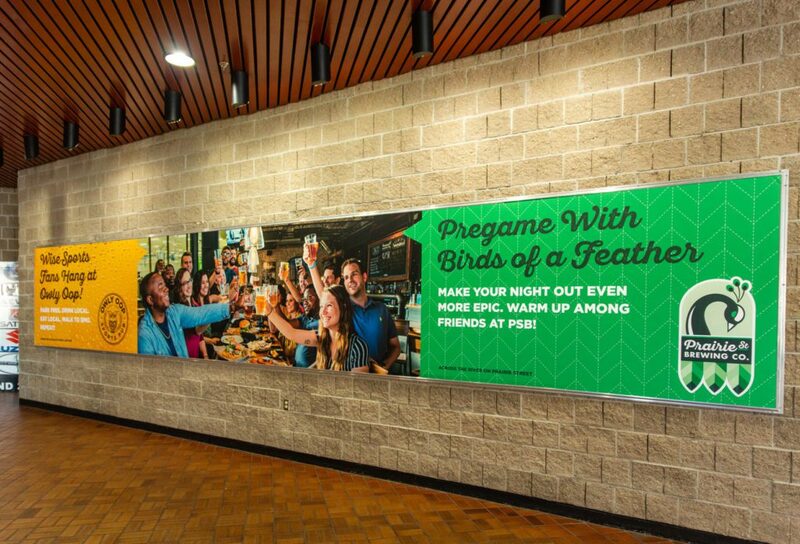 The promo featured a sprawling double-panel arena sign that unified Prairie Street Brewing Co with is nearby sister taproom, Owly Oop Sports Pub and encouraged fans to pre-game with locally brewed beer. We also produced a video spot that was played on social media, digital and on the BMO Harris Bank Center jumbotron. 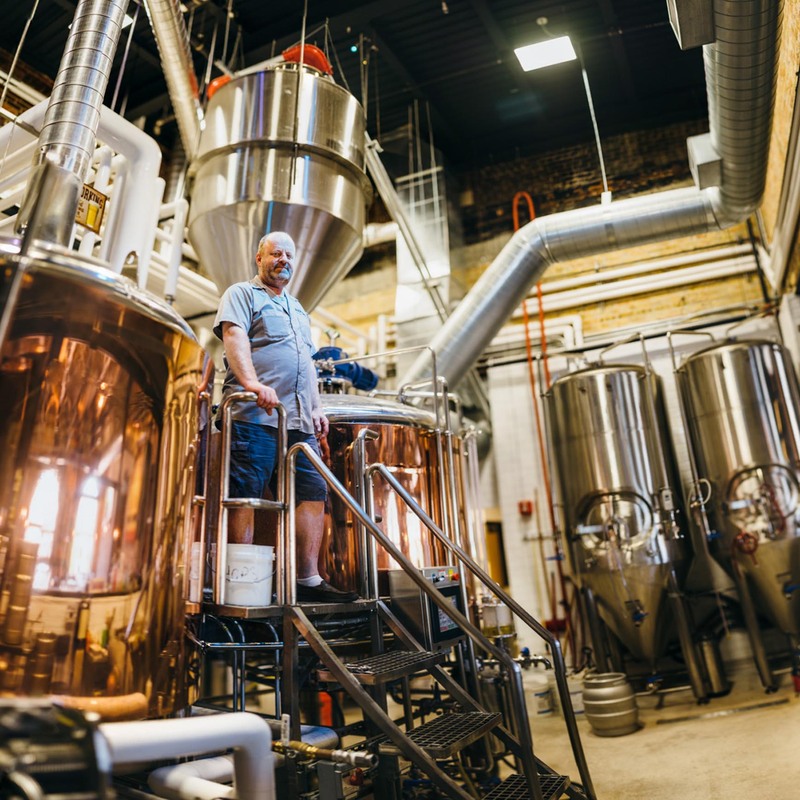 If you like good beer, good people, authentic brands and being in the company of like-minded folks, you and your friends will be birds of a feather at Prairie Street Brewing Co. Check it out soon – right where Jonathan Peacock first brewed beer in the stable behind his little Italianate home at 200 Prairie Street in Rockford, Illinois in 1849. If, on the other hand, you’re looking for someone to help you brand, re-brand or promote your food/beverage business, you can be birds of a feather with the flock at GrahamSpencer. We’re deeply experienced in the sector and would be happy to help you take a bite out of your branding and marketing challenges. Let’s talk.